The following text was translated by Google Translate. In the commune of Chêne-Bougeries, a place called Conches, a few minutes from downtown Geneva, this elegant property is located in a very quiet residential area, close to amenities. House of classical and contemporary architecture, elegant and refined, realized in 2006 and renovated in 2009/2010. Of 14 rooms, its living space is about 500 m2, for a useful surface of approx. 770 m2 including carefully landscaped basement. The materials used for its construction and decoration are luxurious and noble, such as marble floors and solid wood flooring, stucco walls; etc. This beautiful house includes in particular a living room-TV, a large living room, a separate dining room, a large luxuriously equipped kitchen, a "masters" apartment with dressing room, large bathroom and access to balcony-terrace; three beautiful bedrooms with bathroom and basement, several versatile rooms, home cinema. Outside a magnificent infinity pool with landscaped pool-house, entrance courtyard with double garage and parking spaces. Beautiful plot of 2'508 m2 very carefully landscaped, the main orientation is South / Southwest. Access is via a small private road without exit. L'objet n'est plus disponible à la vente. © 2019 PUBLIMMO, All Rights Reserved. Trademarks mentioned belong to their respective owners. Information mentioned in the ads on this website are made under the responsibility of issuing agencies. Your new website specializing in real estate sales and rental in Suisse Romande. 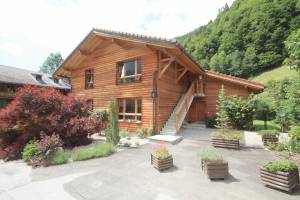 Looking for a house or apartment for sale or rent in the cantons of Vaud, Fribourg, Valais and Geneva. 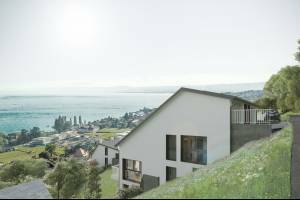 Our partners offers real estate agents in Lausanne, Yverdon, Payerne, Sion, Vevey, Montreux, La Tour-de-Peilz Echallens, Bulle, Chatel-St-Denis, Fribourg, Geneva.